A spiritual successor to their 2009 Afterlife EP, Alive sees Belgium’s mysterious purveyors of post-doom/sludge Amenra once more bare their collective soul by paring things back to the bare bones. Comprising ten acoustic tracks, some reimagining their own material, some approaching that of others, recorded live across various stages and released to coincide with their performance at the hallowed Roadburn festival, Alive practically groans under the weight of expectation. But it’s a weight that the band shoulder effortlessly. Dying Of The Light opens with bright, fragile chords and a clear of the throat, marking this out as a record devoid of much polish, a simple, honest retelling. Colin H. Van Eeckhout’s vocals are almost a whimper, soft and subtle, but possessed of a growing strength. There’s a sense of lackadaisical grandeur to the stately, slightly atonal riffing, complemented by vulnerable strings and sumptuous, deliberate layering. Wear My Crown is all muttered, breathy vocals and jangling, dual guitar lines, ushered along by a wearied drum shuffle, bright notes like motes of dust flashing briefly, trapped in a beam of dry light through old windows. Parabol sees the band covering Tool. All trepidation about the quality of said cover is immediately banished from the first resounding notes, the vocals pitch perfect, the meandering bass and swelling cymbals a complete match. The applause punctuating the performance might as well be coming directly from the listener, rather than the live audience. Buiten Datum echoes with female spoken word vocals and dual, melodious guitar, lifting up from a swell of synthetic noise. The Longest Night is fittingly wearied, insomniac drum shuffles and looping riffs under sighing vocals. September is a caesura built of backmasked vocal drones, amp noise and echoes. Aorte seems slower, more creeping and predatory than the ‘full’ version, guided by tapping snare and cymbals, pierced by brighter stabbing guitar notes, the absence of electrified instruments not in the least detracting. Razoreater begins with that signature strummed riff, jangling and full, Eeckhout’s ethereal, lilting vocals the polar opposite to the song’s usual bitter shrieks. Squeaking frets add a layer of authenticity, an organic nature, glossy, droning vocals and ascending, driving guitars outstretch formerly gnarled fingers to clutch towards the light. Het Dorp, a rather more folksy cover, ends with a wistful, homespun charm. 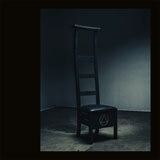 Alive proves without doubt that Amenra can capture and distil mood in any format, as capable acoustically as they are with the full force of distortion behind them. Opening up old wounds with new vulnerability and delicacy, it is no less of a moving experience. Not just a fan service or self-indulgent exercise, this is a worthy addition to the Belgians’ already legendary back catalogue.